The man just can't catch a break when it comes to rehabbing his injuries. In the case of Malcolm Mitchell, Pats fans everywhere should be worried moving forward. The New England wide receiver missed all of last season tending to a knee injury. His work during the offseason was limited to only conditioning, so his status for training camp was questionable when the program ended earlier this month. Now, Mitchell isn't so sure he'll be good to go for camp. When Mitchell was asked if he feels he will be ready, his response was a simple, "We'll see." That obviously doesn't give us much information, so we may just have to sit tight and see how he feels in the weeks to come. Hopefully, he will be ready to return to a heavier workload sooner than later. 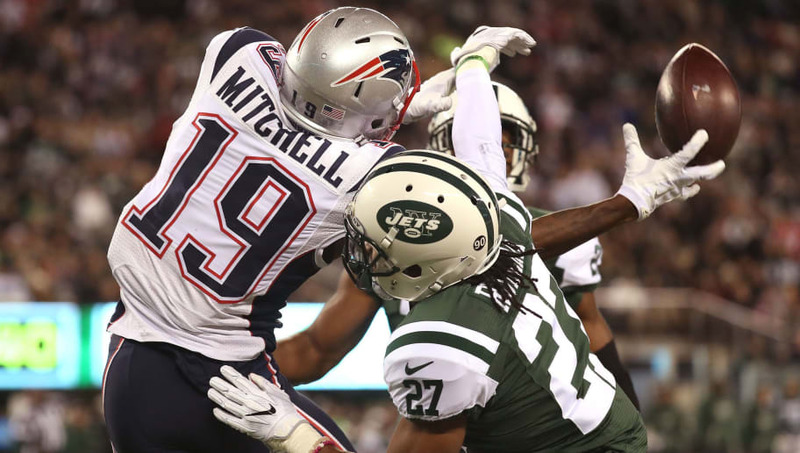 Mitchell is a player who made huge plays in his rookie season, especially when it mattered most in the Patriots win over Atlanta in Super Bowl LI. Tom Brady targeted Mitchell seven times and completed six of those passes for 70 yards, which shows he can play under pressure. He is a talented player, who could be especially useful at the beginning of the season with Julian Edelman's four-game suspension. The question is when will Mitchell be ready? For Mitchell's sake, he better hope he's good to go for camp and can get into a groove with TB12 before the start of the regular season.